Longwood Auto AC Repair and Service - EURO Specialists, Inc.
Florida is quite hot, and the summer months can be unbearable if you find yourself in a position where your vehicles' air conditioning or cooling system simply isn't working like it used to. Every day without proper air conditioning in a car can feel like a nightmare, so it is important that you come to EURO Specialists, Inc. as our master certified technicians have the vast experience to not only repair your car but do the job right. If you find that the intensity of the air coming out of your cars' vents are not as they used to be, or not blowing cold, this is often an indicator of the issue. Odor from vents are often telltale signs of either an old air cabin filter or a mold ridden evaporator case. How Long Should I Wait Until I Bring My Car In? The longer you wait, the more complicated the AC repair may become. Moisture is not your car's friend. 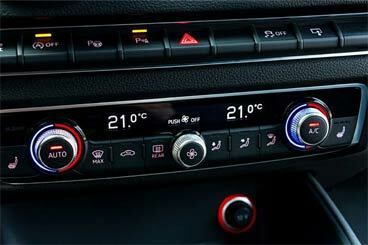 Often times when individuals wait to bring their car in, moisture will seep into the A/C system and cause damage to other necessary and often expensive components. Leaks are the perfect method for moisture and other particles to gain access into your car's components. Keep this in mind and contact EURO Specialists, Inc. as soon as possible in order to get your car repaired quickly. What Causes an Air Conditioning System to Leak? To be perfectly frank, it comes down to age and moisture. Many of the hoses and components involved in your automobile's air conditioning system are made of rubber. These rubber hoses and seals actually lose their elasticity with the passage of time and breakdown. Once this occurs, a leak becomes present. Call us today with any questions and feel free to schedule your appointment instantly online. We look forward to servicing your vehicle and ensuring your air conditioning is always working properly.